Cuvu villagers are up in arms against those dumping rubbish in their mangrove swamps as they depend on them for their sustenance and livelihood. 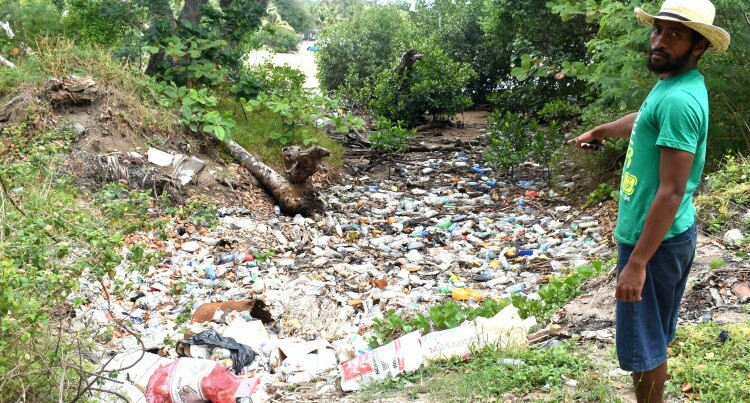 Apisai Vasuitaukei of Rukurukulevu Village, Cuvu has for the past years witnessed people in their vehicles driving up to the nearby mangrove swamp late in the night near the beach to dump their rubbish. The spot was laden with rubbish including broken glass, bottles, used packing, plastic, cloth and dry and soaked paper. The filth from used diapers, food and decay filled the air was unbearable. Rubbish packed in sacks was also thrown in the mangrove swamp. There are three villages located a few metres away; Cuvu, Rukuruku and Voua. “This has been like this for the past years ever since I was in primary school and nothing has been done about it,” an angry Mr Vasuitaukei said. “Late in the night at around 10 pm to 12 am we always see people coming in their cars to dump their rubbish here,” he said. He also said the area was also a famous drinking spot and the beach is usually used by locals for picnic. “This is just disgusting and I know that this is done by people who aren’t living in this area because in my village we aren’t allowed to dump rubbish like this,” he said. He said women out for fishing would sometime pull in plastic bags. “Before when my mother’s fishing trip is usually successful because she will come back home with a lot of fish but now she ends up fishing plastic bags as her fishing nets will be filled with rubbish instead,” he said. Another woman who wished to remain anonymous said catching fish in Sigatoka wasn’t like before. “During my grandmother’s time there was a lot of fish but now there is nothing and most of the times we can spend hours looking for crabs in the mangrove swamps or fishing but then at the end of the day we go back home empty handed,” the 47-year-old mother of five said.